National People`s Party (NPP) Deputy National Secretary for Information and Publicity Methuseli Moyo has quit the opposition outfit citing personal reasons. Moyo, a former journalist, had been elected to represent the party as a Member of Parliament for Magwegwe Constituency in Bulawayo in the forthcoming harmonised elections. In a statement, Thursday, the former Zapu spokesperson quit both his position and membership of the NPP. “This has been one of the hardest political decisions of my life, as NPP had become part of my life, my second home, and my hope. However, developments within and outside the party have made me decide to end my association with NPP,’ said Moyo. “It is my considered position that a post-Mugabe, post-Tsvangirai era requires new strategies and new alignments”. He praised party members who showed confidence in his ability and had elected them to represent them in the polls. “From the bottom of my heart, I express sincere gratitude to NPP Bulawayo province, in particular my constituency Magwegwe who showed confidence in me by elevating me to national leadership of the party. “Most importantly, I thank NPP members in Magwegwe for nominating me – unopposed – to be their national House of Assembly candidate in the 2018 elections,” Moyo added. Moyo also paid tribute to party Mujuru and her vice president Samuel Sipepa Nkomo and John Mvundura for “appointing me to the position of deputy national spokesperson”. 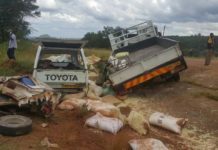 Early this month, the NPP lost two Mashonaland West provincial executive members in protest over the alleged imposition of candidates ahead of the plebiscite. Mujuru who also leads the People`s Rainbow Coalition is expected to contest in the presidential elections in July.